Whether it’s getting a better interest rate, lower repayments, buying an investment property or finally doing that renovation you’ve always wanted; refinancing could be the solution you’ve been seeking. Refinancing refers to the process of paying out your current home loan by taking out a new loan, either with your existing lender or through a different lender. Refinancing is sometimes referred to as ‘loan switching’, so if you’ve got the itch to switch, your @HomeLoansCo broker can help you to investigate your options. A broker can help you determine whether you’ll save money when you refinance. Working with a professional who has already established a strong relationship with several different lenders also allows you to access hundreds of offers. Our home loan experts are focused on putting your needs first and will assess your individual circumstances with the loans available. We can compare hundreds of highly competitive home loan options from a wide choice of lenders, including the big four banks. Our home loan service is no cost to you because the lenders pay us, so why not put a broker to work for you? An @HomeLoansCo broker can give you a free home loan health check in just one hour, and if you decide to switch, we do all the legwork. This is often the easy part, and your local @HomeLoansCo broker can help you to sift through hundreds of home loans from our wide choice of lenders to help you find the one that’s right for you. Your broker can compare hundreds of loan options from our wide choice of lenders, including the major banks, saving you time and legwork. 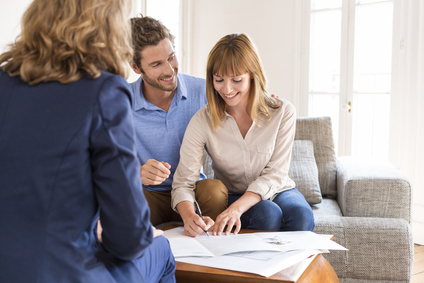 You can find out very quickly whether your existing home loan is still right for you, or whether you could potentially benefit from switching. Once you have settled on a particular loan, refinancing works in much the same way as applying for your original loan – and your @HomeLoansCo broker can guide you through the process. Evidence of the building insurance policy you have in place for your home or the property to be refinanced. Once your loan is approved, your new lender will pay out your current loan on your behalf and you can commence repayments on the new loan. Behind the scenes, the title deeds to your property will be passed over to your new lender and a Discharge of Mortgage document lodged with the Land Titles Office in your State or Territory. © 2019 HomeLoansCo. Website by Marketing Catalyst.